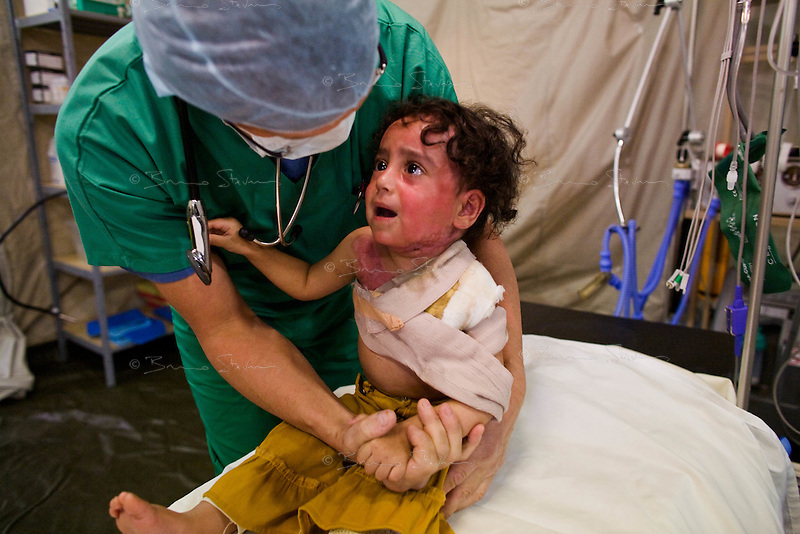 Gaza city, Jan 27 2009..Eshgen Karabi, 2, has 2nd degree burns on the face, the neck and the upper torso as the result of the shelling of her house by the Israeli army. She is one the first patients to benefit from the new inflatable medical structures erected by MSF late last week in Gaza City. The two hospital tents include operating theaters and a 12-bed post-surgery recovery and post-operative care unit.